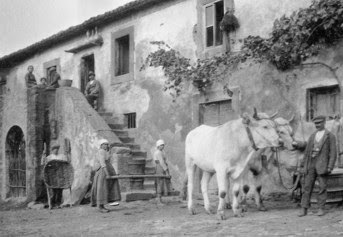 Prior to the end of WWII the system of agriculture in the central regions of Italy was known as “mezzadria” or share-cropping. Contadini worked for landowners in houses furnished by the owners, with whom they had a contract providing that they share everything produced or sold. When the war ended industries sprung up in the cities and the contadini, given the opportunity to change their category from “contadino” to the more prestigious “operaio” on their identity papers, fled to the cities in droves. In Terni, Rome or Milan they worked in steel factories, automotive factories or in construction. Some worked as building porters and for the first time in their lives, actually made money. A few of them, very few, accumulated enough money to buy the houses where their parents were still living or more often, houses in the villages they came from. Here, in and around Acqualoreto, nearly all the farmhouses were owned by three families living in the smaller village of Morruzze, just up the hill. Some of the houses had held eighteen people or more. While there were a few artisans and professionals who lived in the village itself, by the 1960's the land and the farmhouses were deserted. At the end of WWII, Acqualoreto had three teachers, three doctors, a pharmacy with a resident pharmacist, a Post Office, a general store, and another food shop which doubled as a bar. The departure of the contadini disrupted life in the village as well as in the surrounding countryside.. The pharmacy went away, the teachers and the doctors either died, retired or moved away. The doctor who now serves the area lives in Terni, 50 km away. The shops stayed on until about 1990 and 2005, while the Post Office closed in 2005. Local schools from three villages were consolidated into a new building midway between them in the mid 1980's. The seventies saw the arrival of the first of the “forestieri”, or outsiders. Large empty stone farmhouses were bought up by writers and movie people from Rome for little more than what a small Fiat 128 cost about the same time; an Australian woman who worked at FAO in Rome was one of the first foreigners to arrive. She decided she'd prefer to commute and have her daughter grow up in the countryside. In nearby Torre Gentile, the American sculptor Beverly Pepper and her journalist/writer husband Curtis Bill Pepper bought one of the dozen or so sentry towers that formed an early warning system around Todi in medieval times. They transformed the tower and its stables into a magnificent home and studio. Throughout the 70's and 80's other foreigners bought up the remaining country houses, usually for very little money, depending on the time of purchase. Among them were painters, writers, architects, professors, journalists, dress designers, lawyers and people from the world of TV. Prices of the country houses continued to go up, those of houses in the village not so much. In part, because the outsiders preferred to remain reclusive outsiders, but also because the typically two or three room house in the village had been inherited by ten to twenty relatives scattered around Italy, most of whom had little interest in maintaining, restoring, selling, or least of all, inhabiting it. Negligible property taxes on these houses and building department bureaucracy contributed to the stasis. The housing bubble here, as elsewhere, expanded for years. When the bubble burst in the US in 2008, its effects were not immediately felt here. While there had been no influx of Americans in the new terror-obsessed century, the slack had been taken up by people from Holland, the Caribbean and Ireland, at least until the Irish economy went belly up. By now the Great Recession has spread and sunk roots and both the Italian economy and the real estate market have collapsed. People who cleverly bought houses for a song in the 80's are getting older and no longer feel invigorated or gratified by the hard work required to maintain these big houses and the land that surrounds them. 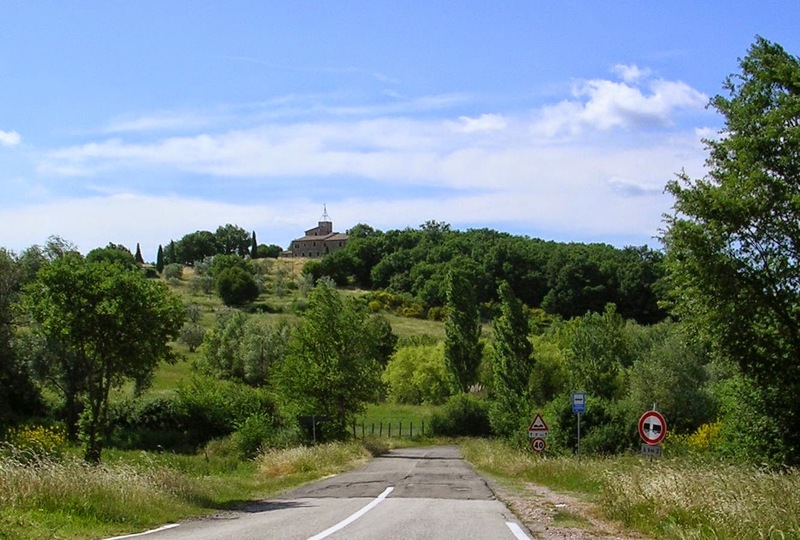 Large houses are proving hard to sell in this new buyer's market but if prices of large properties have slumped, the prices of apartments and houses in villages and towns throughout Umbria, and probably all over Italy, have crashed. 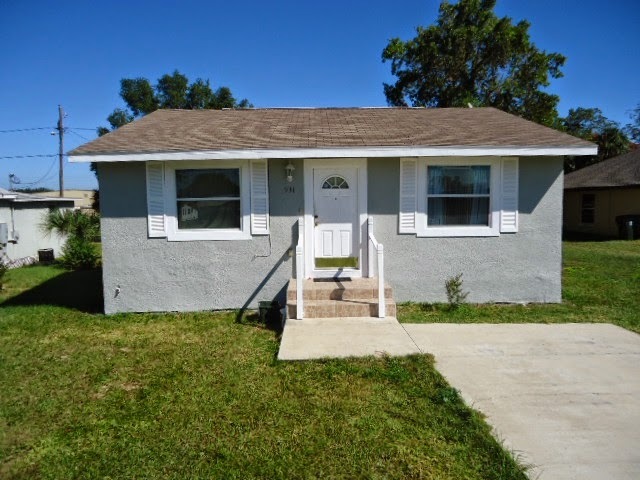 Not like Florida, where people we know have bought houses for as little as $17,000. That's cheaper than a mid-sized station wagon and while station wagons may be fine for sleeping, they offer little in the way of toilet or cooking facilities. Leafing through a current booklet of real estate offerings in the area, I see 2 BR apartments in Todi for €65,000 and €87,000. The first even has a garage and a garden while the other is a ground to roof building in the picturesque old center. That sort of money will buy you a fairly flashy car but cars lose most of their value over ten years or so. House prices can always go lower but they're down now so the odds are on their going up. Of course, if you have more money to invest, there's no upper limit. Just call our friend Caroline Van Agteren at Antonini Realty and she'll fix you right up. You could also contact another realtor friend, Michiel Bloemgarten, who lives right here in Acqualoreto. With the market so far down, he spends more of his time these days back in Holland but I'm sure he'd be eager to help. Italy's once flourishing industrial sector, which excelled in textiles, clothing, shoes, leather goods, automobiles, glass, steel and ceramics, has been devastated by globalization and the theologians of austerity. While Italian “smoke sellers” have always been adept at selling intangibles, such as “Italian design”, and some continue to peddle pricey Italian-designed products made in China, Italian financiers have never managed to develop that mystical aura of unquestioned, hard-headed respectability with which Anglo-American bankers have so successfully fleeced individual and institutional investors, paving the streets of lower Manhattan and central London with gold in the process. Unemployment is high in Italy and young people are emigrating out faster than from any other country in Europe. In many ways the situation appears bleak. The birth rate is among the lowest in the world. However, while our shops and our Post Office are long gone, here in Acqualoreto we now have a restaurant and a lively summer festival. More surprisingly, in a village of two hundred people, we have four building contractors, all of them more than capable, and a social circle, which maintains a bar, with members from at least a dozen countries. Food is as good as ever, both in the fresh ingredients and in the preparation, and the countryside is stunning. Our weather is feeling the effects of climate change, but where is it not? At least we're more than 400 meters above sea level so we're relatively safe from major flooding. Although Italians used to smoke a lot, and the lung cancer rates still reflect it, Italian life expectancy is the highest in Europe. With democracy in the US and the UK now just a fading memory and the big banks having seized control of their regulators in order to facilitate their gaming proclivities, it's only a matter of time before the next major economic crisis. We can't predict how the effects will play out. Will all the remaining wealth of the collapsing countries just continue to quietly flow to the oligarchy or will rebellion spread, with blood running through the streets as the militarized police demonstrate why they've been so lethally armed? Umbria is a tranquil place, the home of St. Francis of Assisi and one of the least populated regions of Italy. We don't have legions of angry young men ready to riot. Most of them have already moved to England. 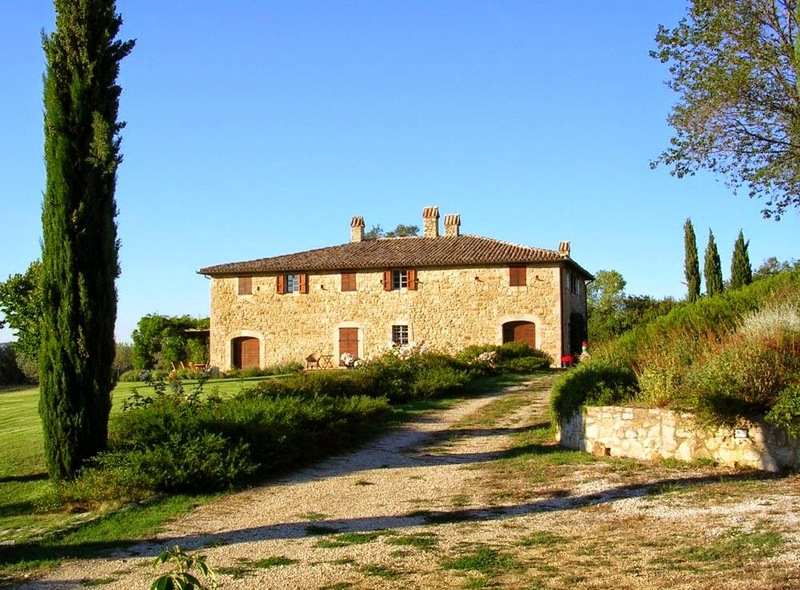 If you're sitting on, or in, any valuable property in one of the markets which haven't collapsed yet, this would be a good time to downsize and put some of your winnings into a peaceful getaway home in Umbria. The area is as attractive as ever and if the deflated housing bubble doesn't reinflate soon, it means that the cost of living will remain low. If it does reinflate, you'll be able to congratulate yourself on getting in at the right time. At the moment, there may be better values to be had in Greece and Spain but the future of Greece seems a little iffy and from what we've heard, large areas of recently (over-) developed parts of Spain have simply been abandoned. The unemployment rate in both those countries doesn't bode well for civil tranquillity. Having no plans to go anywhere, I have no vested interest in any of this hypothetical investment but we do like to see new faces at the weekly Happy Hour of the Circolo, as well as seeing our friends and neighbors prosper. Membership in the Circolo is open to all and we look forward to welcoming interesting new people. However, for any of you reading this who might have (US) Republican sympathies, or similar Tory leanings, it's only fair to point out that you might find even less expensive opportunities elsewhere, more to your liking. American conservatives have pleaded in vain that the face of Ronald Reagan be added to the Mount Rushmore National Memorial in the Black Hills of South Dakota. Sorry folks, it isn't going to happen, but new and better opportunities are coming up and the more individualistic and adventurist people among you may want to be a part of them. Vast areas of mountainous terrain in West Virginia and parts of eastern Kentucky are currently being transformed into a dramatic new landscape. This area too has a sparse population and now that traditional coal mining has been abandoned, jobs are even more scarce than in Umbria. (The number of people working in the WV coal industry has dropped from 120,000 to 15,000.) 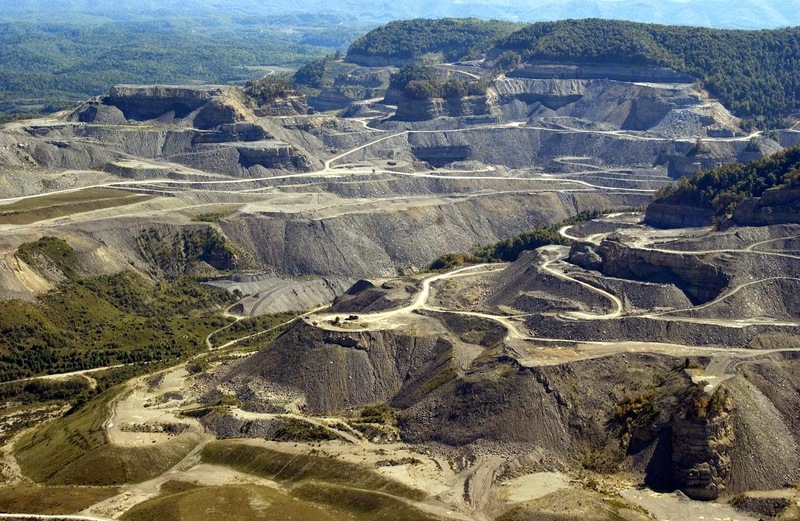 Once stripped of its coal, the land is much cheaper than anything here. Buy a plot on one of the remaining peaks and you'll have splendid vistas into the new valleys. No bad interactions with the townies since most have either died or moved away or will soon. All you'll need is lots of imagination, a little real estate nest egg to invest and small change for bottled water to drink and bathe in. Friends, this can be an international monument to the potential of laissez-faire government. 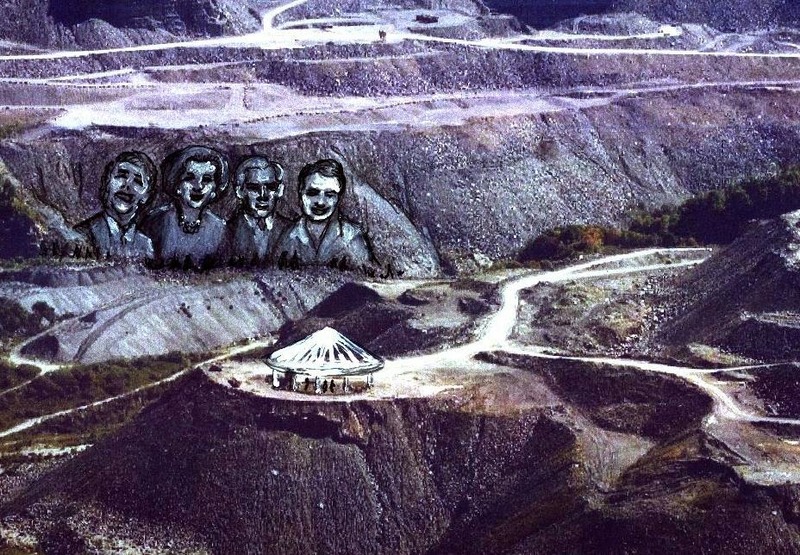 Those newly carved mountains would make the perfect site for gigantic likenesses of Ronald Reagan, Margaret Thatcher, George W. Bush and Ayn Rand. It's time to act folks. Let us know if there's anything we can do to help.